3. 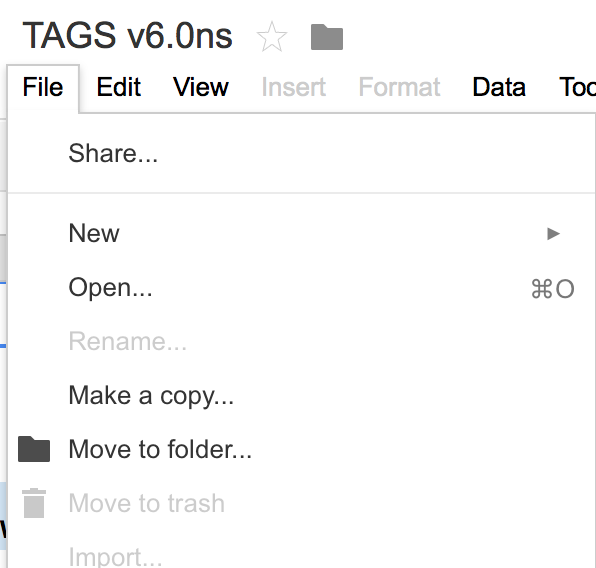 Once the Google Sheet is open, click on File and select Make a Copy. 4. Save the copy with a new file name. 6. After your copy has been made open TAGS > Setup Twitter Access and follow the onscreen instructions (when selecting this option you’ll be promoted to authorize the script to run several services). 7. 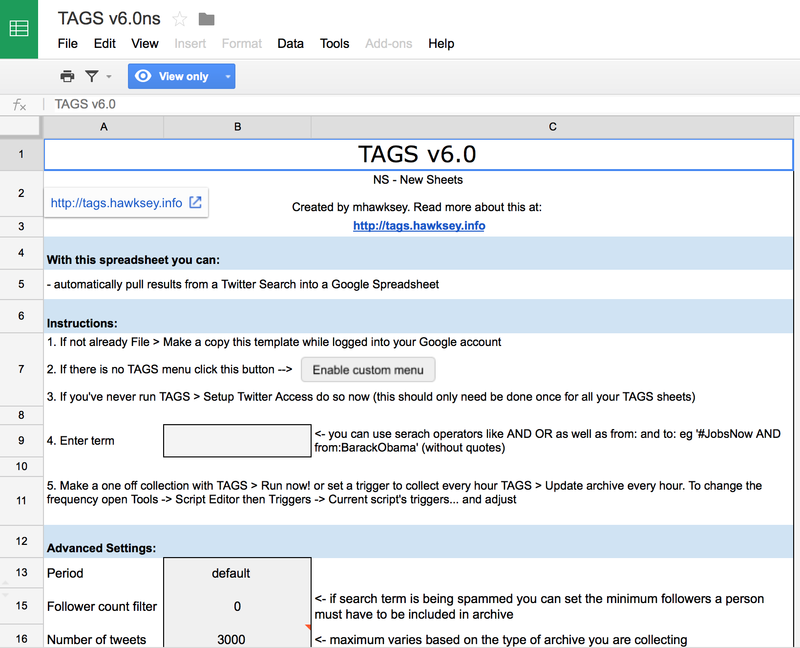 On the menu bar, find TAGS, and from the drop down menu choose Run Now! 8. While the script is running a message will appear over the tool bar that says Running Script. Upon completion, the message will read Finished script. 9. Once the script has run the second tab in the sheet will contain the tweets scraped from Twitter. 10. Select the Archive tab to view the scraped tweets. 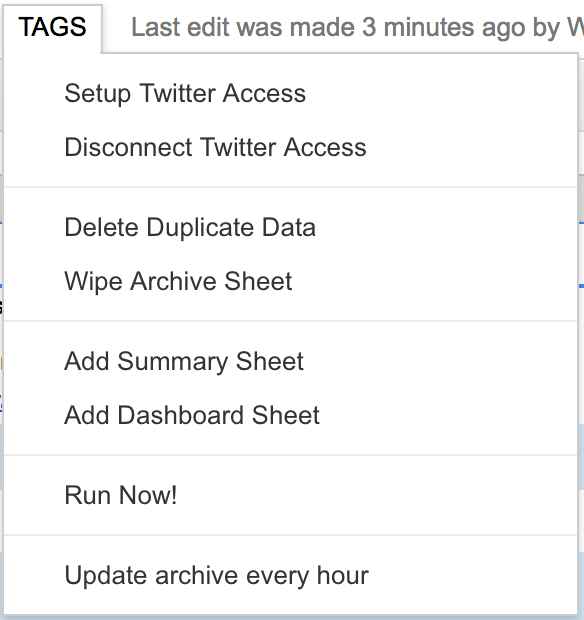 The first time you run TAGS it can only collect data from the most recent 7 days, however, if you leave the sheet connected to your twitter account then you can “Run Now!” again at a later date and have the sheet fill in the tweets since it was last run.